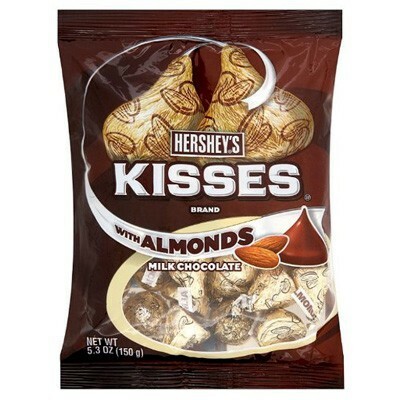 introduced in 1990, HERSHEY'S KISSES Brand Milk Chocolates with Almonds became an instant success in the U.S. and were the first permanent addition to the HERSHEY'S KISSES Brand Chocolates family. 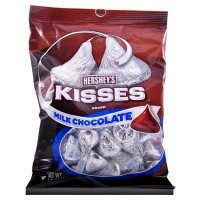 Enjoy the classic, creamy milk chocolate KISS with an extra treat in the middle! 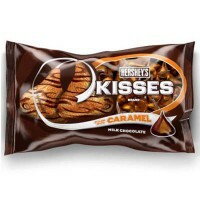 Every day and every body deserves a KISS! 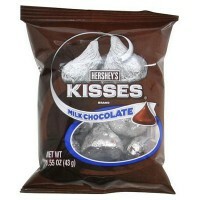 Each package contains approximately 30 kisses. 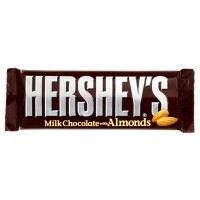 Milk chocolate (sugar, milk, chocolate, cocoa butter, lactose [milk], milk fat, emulsifiers E476-E322 [soy lecithin], vanillin, artificial flavor), almonds (roasted in cocoa butter and/or sunflower oil). Manufactured in a facility that also processes tree nuts. Contains GMO. 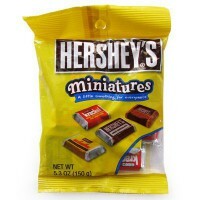 Nutrition facts (for 100g): calories 525Kcal, total fat 32.5g (saturated fat 15g), total carbohydrate 52.5g (sugar 47.5g), protein 10g, salt 0.2g.